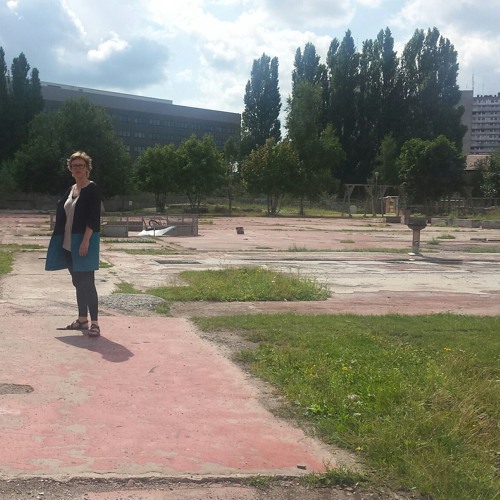 Antenna talked with curator/mediator Daniëlle van Zuijlen on a brownfield in the middle of the poorest part of the city of Ghent in Belgium; now used as a local public garden for the neighbourhood. Right here in the near future a gigantic real estate project will be developed over the coming ten years. She was asked to formulate an artistic vision for this situation and aims to develop a long-term program in which a residency will be an important part in, it would allow artist to be there, listen, listen learn and react. "If we manage to develop a good dialogue between the local voice and the outside voices it can lead to new insights to what is going and what is possible here." Users who like The word embedded is a bit problematic, it all depends how you interpret it. Users who reposted The word embedded is a bit problematic, it all depends how you interpret it. Playlists containing The word embedded is a bit problematic, it all depends how you interpret it. More tracks like The word embedded is a bit problematic, it all depends how you interpret it.